Just Google "John Lasseter" and chances are you probably won't see many images of him wearing anything but a Hawaiian shirt. 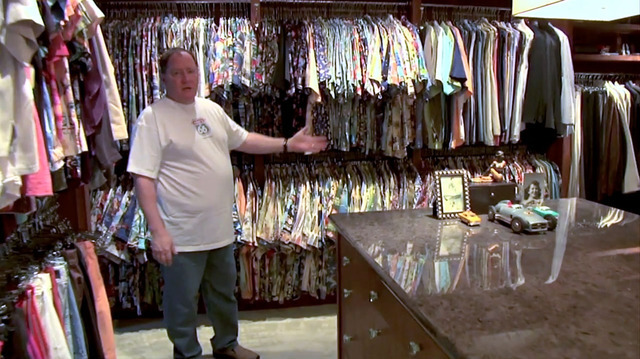 His closet is full of them...like we're talking literally hundreds (screen shot from the video "John Lasseter- A Day in the Life" below). 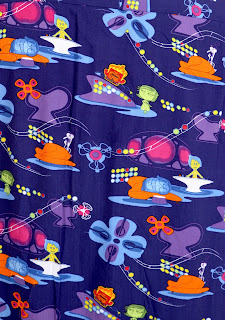 Lasseter's passion for Hawaiian shirts comes from his mindset that "they're kind of like a toy you can wear." And we know his enthusiasm for toys! He has also stated that it's just one less decision he has to make in a day and also, jokingly, that "you can spill something on it and no one's gonna know." 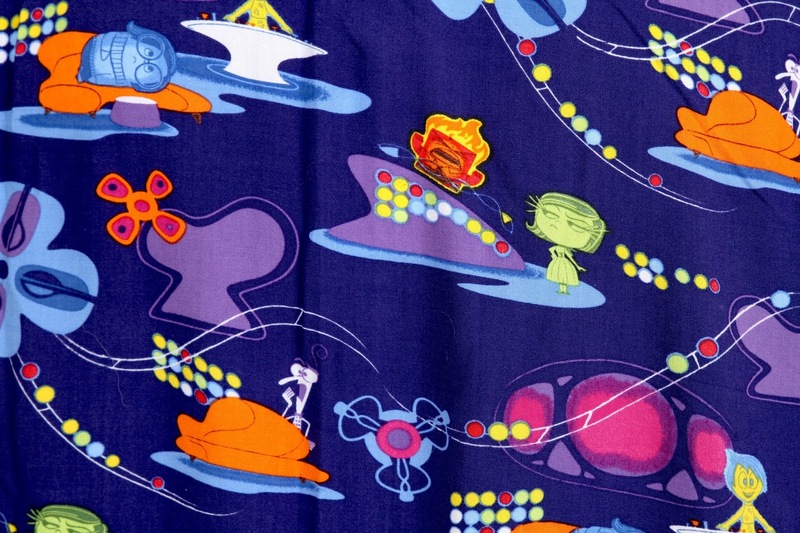 In 1999, Lasster commissioned the renowned Hawaiian shirt design company, Reyn Spooner, to create a custom shirt for him based on the world of Toy Story 2. 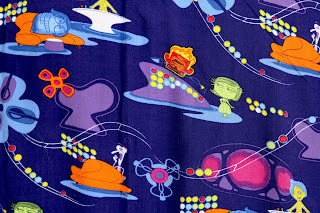 Since then, Reyn Spooner has kept the tradition alive by creating specially designed shirts based on every Pixar, Walt Disney Animation and Disney Toon Studios film that Lassteter has been involved with since...including, of course, Pixar's latest offering Inside Out! 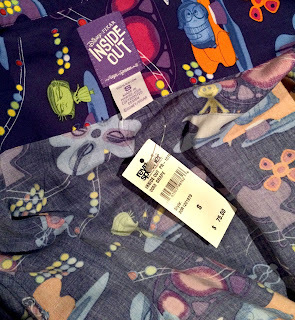 Being a huge fan of Pixar and John Lasseter himself, it has always been a dream of mine to own one of these shirts (which are available only inside Pixar, not opened to the public, at the studio store). Well, my dream has recently come true thanks to the collaborative efforts of my good friends Jeff (from This Day in Pixar) and T.J. (from Pixar Post)! A huge thanks to both of them for helping me obtain this amazing addition to my collection...an authentic Reyn Spooner Inside Out Hawaiian shirt; a design worn by John Lasseter himself! At the store, the shirt runs for $75 (a bit of a high price tag, but worth it). 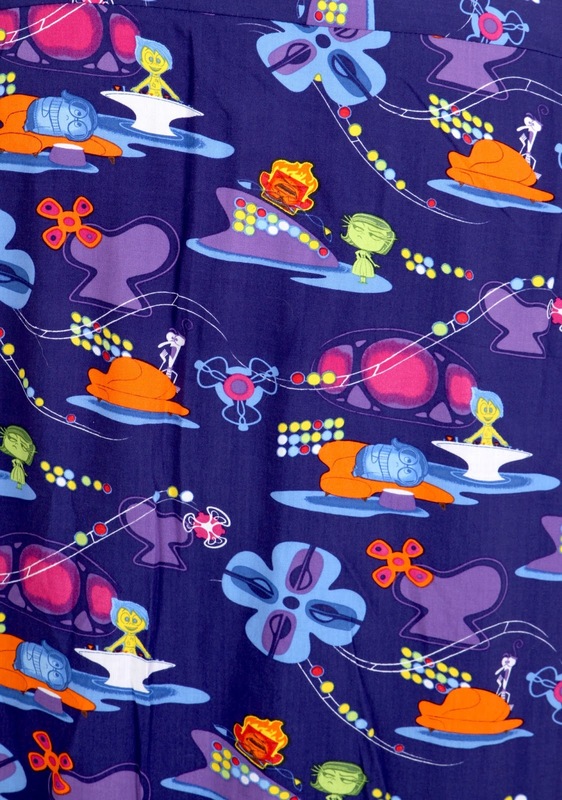 And given that this is Reyn Spooner we're talking about here though, there's no questioning the quality of it. 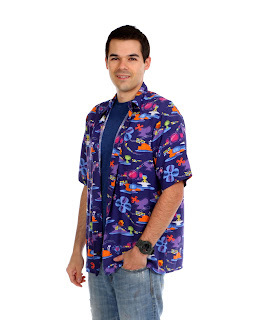 I'm so excited to be able to wear this during our upcoming Disney Cruise at the end of this month! That was a huge factor of mine when deciding whether or not to purchase this. this direct link to current eBay listings! Again, a huge thanks to This Day in Pixar and Pixar Post for helping me out here. It will be forever a cherished and prized part of my collection!